Despite the amazing advances in artificial and hybrid stone countertops, natural stone still continues to be the most sought after choice for countertops, bathroom surfaces and flooring. 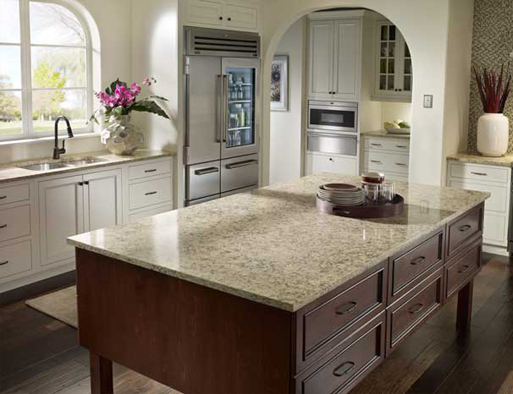 Many homeowners never explore the option of granite countertops, marble countertops or quartz countertops, because they believe that the cost of granite, marble and quartzite are outside their budget. 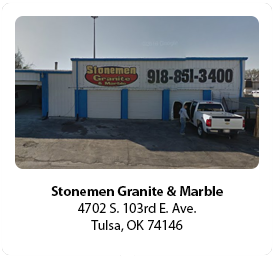 Stonemen Granite and Marble specializes in helping Tulsa homeowners afford natural stone countertops, bathroom surfaces and flooring. Stonemen Granite and Marble has a highly skilled team of fabricators specialized in stone fabrication for countertops, bathroom surfaces and flooring. Our Stonemen team is dedicated to helping homeowners obtain a custom look at affordable pricing. Step 1: We guide you in planning your project to achieve your goals, both budgetary and aesthetic. We guide you in stone, surface and edge options. Step 2: We help you in material selection. We go with you to select your stone. You benefit from our expertise in working with stone suppliers who carry a wide variety of natural stone. Step 3: We schedule an appointment for precise measurement of your project. Those measurements are implemented at templating to assure a precision fit at installation. Step 4: At fabrication, your template is cut using a state of the art stone saw, which cuts precise pieces from the stone slabs selected by you. Then, the exposed edges are hand crafted by our expert polishers. Step 5: On time on budget installation. We install in Tulsa, Broken Arrow, Jenks, Owasso and surrounding communities. Our vehicles are designed to safely deliver your fabricated materials for installation. Our Stonemen team has over 40 years of experience installing natural stone countertops, floors and bath surrounds in the Tulsa area. Let Stonemen show you how.